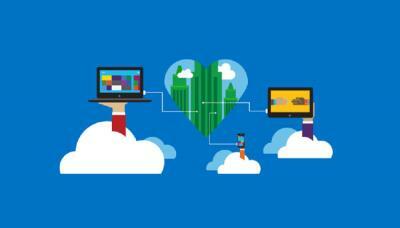 Home | Microsoft Exam information, study guides, training courses, help and advice. 70-511 is one of the new Visual Studio 2010 exams covering the .NET Framework 4. Official title is: Windows Applications Development with Microsoft .NET Framework 4. Exam available from summer of 2010. 70-513 is one of the new Visual Studio 2010 exams covering the .NET Framework 4. Official title is: Windows Communication Foundation Development with Microsoft .NET Framework 4. Exam available from summer of 2010. 70-516 is one of the new Visual Studio 2010 exams covering the .NET Framework 4. Official title is: Accessing Data with Microsoft .NET Framework 4. Exam available from summer of 2010. 70-518 is one of the new Visual Studio 2010 exams covering the .NET Framework 4. Official title is: Designing and Developing Windows Applications Using Microsoft .NET Framework. Exam available from summer of 2010. 70-519 is one of the new Visual Studio 2010 exams covering the .NET Framework 4. Official title is: Designing and Developing Web Applications Using Microsoft .NET Framework. Exam available from summer of 2010. The MCPD 70-583 exam is a professional exam for those wanting to prove their skills in designing applications that are hosted on the new Windows Azure Platform. 70-599 is the new MCPD exam designed to test a candidates skills in developing Windows Phone Apps. It's part of the MCPD group and is also one of the first Microsoft exams that requires recertification. Microsoft’s new certification programs MCTS, MCPD and MCA were designed to highlight a candidate’s skill in a principal technology set. Each exam now focuses more on core technical and professional skills rather than the old fashion.. The new online tool from Microsoft called Logo Manager allows MCP members to create their own custom logo. Using your previous achievements you can select the logo template you want such as MCP, MCPD, MCTS..
Microsoft is offering developers a free ebook called Moving to Microsoft Visual Studio 2010. The book is from Microsoft Press and contains over 300 pages. How can I earn an MCPD? To earn an MCPD certification you will need to pass 3 or 5 exams in the MCPD series. Depending on the type of MCPD certification you want to go for (windows, web or enterprise) you will need to pass the appropriate exams below. 70-528 Designing Microsoft .NET Framework 2.0 - Web-Based Client Development, consists of questions from the web client development side of the .NET framework 2.0. Unlike 70-548, this exam focuses on raw coding rather than design principles of web..
70-548 Designing and Developing Windows-Based Applications by using the Microsoft .NET Framework, consists of questions from the web based development side of the .NET framework 2.0. Questions can range from anything from designing.. The 70-552 exam, upgrade: MCAD Skills to MCPD Windows Developer consists of between 90-100 questions which are taken from all exams which comprise MCPD Windows Developer. The upgrade exam from MCPD .NET 3.5 Web Developer to .NET 4 Web Developer is now available in Prometric testing centers. The new 70-506 Silverlight 4 development exam will be released in January 2011. 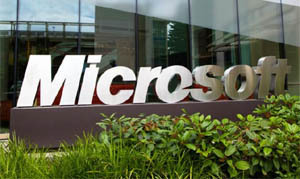 It is aimed at developers who create rich internet applications using Microsoft Silverlight. The 70-564 exam, designer and developing ASP.NET application in 3.5 is part of the MCPD certification path. There are various types of resources to help you study. The following list shows the best of the available material to help you pass 70-564..
MCPD stands for Microsoft Certified Professional Developer and is regarded as a high level and highly accredited certification. MCPD allows developers to demonstrate their ability to use Microsoft Visual Studio and the Microsoft .NET Framework..
What is the duration of 70-536? The 70-536 exam is the core exam for both the MCTS and MCPD certification paths. The exam is specifically targeted towards the .NET framework and can be applied to the .NET 2.0 and .NET 3.5. The exam targets the .NET development foundation.. Which areas are covered in 70-564? Exam 70-564 Designing and Developing ASP.NET Applications Using the Microsoft .NET Framework 3.5. This exam is part of the MCPD certification path and covers the topics listed below. Make sure you have understood all the areas and are capable.. The mobile market is an increasingly fast-paced industry with many big businesses looking to tap into the millions of mobile users worldwide. The Windows Phone Certification allows developers to certify their skills in developing apps for..
Few would argue that cloud certifications are on the rise. There's an increasing number of job opportunities for those with skills in cloud architecture and infrastructure for both Amazon AWS and Azure. A recent market report highlighted that..
Microsoft have confirmed the new SQL Server 2014 certifications and associated exams. As the new version of SQL Server is focused on performance tuning and high availability, they've placed the new DB platform solely in the MCSE certification..